Waska got the opportunity to help provide cedar shingles for a project at the Shaker Road School in Concord NH, sponsored by Marinace Architects. 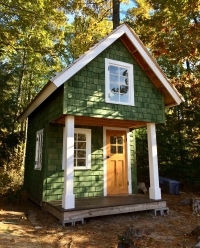 The project was to conceptualize, design, and build of a tiny house on their school property. The best part of this project is its reason for being: to introduce the next generation, and particularly girls, who are underrepresented in the design fields and trades, to the fields of architecture, interior design, engineering, and construction. The hope is that they will one day consider working in one of these careers. 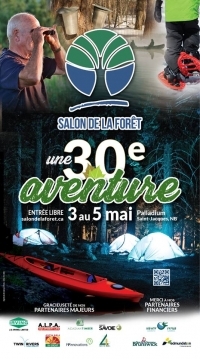 Waska is proud to be participating in the 30th edition of the ‘’Salon de la forêt’’ taking place at the Palladium arena of St-Jacques, New Brunswick. We are very excited to be able to talk and answer any of your questions about our company. We will also have great door prizes to be drawn like handmade bird feeders and a basket of maple products. 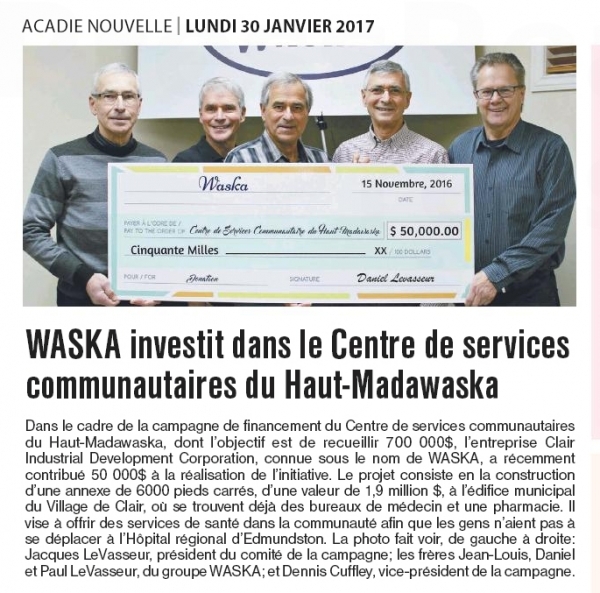 In October 2017, Waska was offered an opportunity to contribute to a great project by donating white cedar shingles for a gazebo (exterior classroom) that was being built at Centre d’apprentissage du Haut-Madawaska school with the help of New Brunswick Community College of Edmundston. The official unveiling will take place at the end of May 2018. We are extremely proud to be taking part in the Heart & Stroke "Big Bike" challenge and fundraiser. Waska is committed to gathering a minimum of $1500.00 in order for our team to ride the wonderful 30 seat bike. All funds will go towards education, research and assisting those who have been afflicted with this serious illness in New Brunswick. 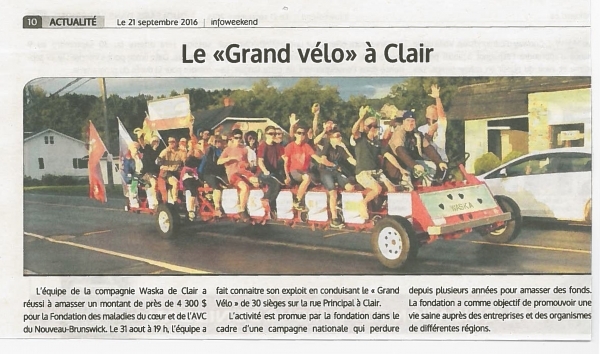 On August 31st, 2016, we will be riding the 30 seat Big Bike through the maine street of Clair, New Brunswick!